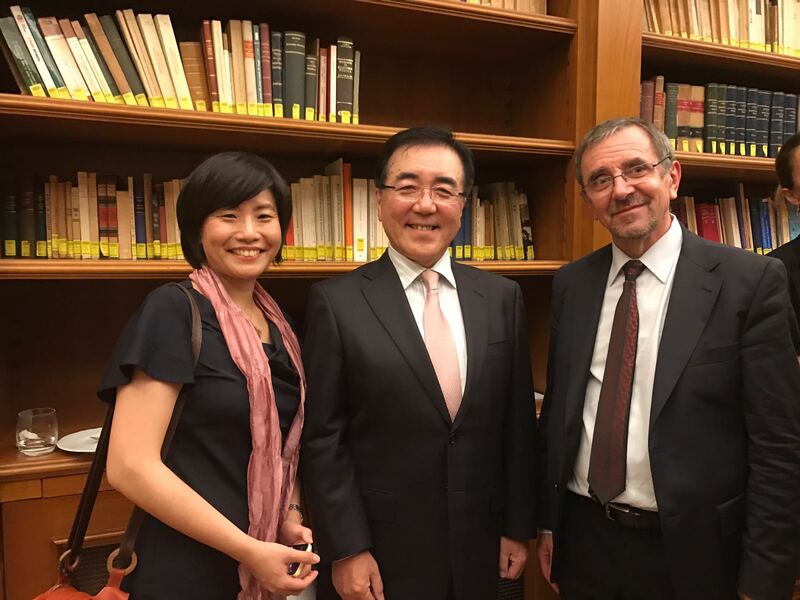 The G7 held at Chancellery Palace in Rome on September 14, 2017, debated «Security and Hate Speech. Personal Safety and Data Security: Rights in the Age of Social Media», where the Secretary General spoke on the perspective of collaboration between the AIDLR and the G7 actors, in the context of the need for vigilance and defense of individual rights on freedom of religion, freedom of expression and against the risks of the spread of hate speech, violence and cyberbullying. 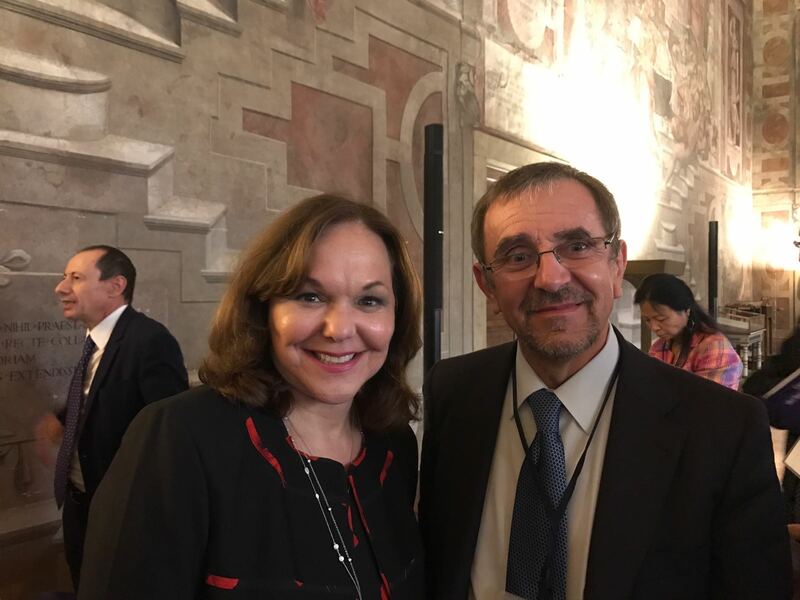 At that unique international conference chaired by Andrea Mascherin, the President of Consiglio Nazionale Forense and Dr. Olteanu the Secretary General of the AIDLR, exchanged opinions with the G7 actors on ‘security and hate speech’ in the context of the need for defense of individual rights against the risks of fake news and the spread of hate speech, violence and cyberbullying; as a result of that conference the possibility of collaboration on future conferences has been established between the AIDLR and the legal professionals of the G7 Countries: ANDREA MASCHERIN, the organizer and Chair of the conference; HILARIE BASS, President of American Bar Association; CHRISTINA BLACKLAWS, Vice President of the Law Society of Great Britain; RENE BASQUE, President of the Canadian Bar Association; VINCENT BERTHAT, Conseil National des Barreaux from France; OMURA EMI Attorney-at-Law and MASAAKI SAWANO, Vice President of the Japan Federation of Bar Associations. 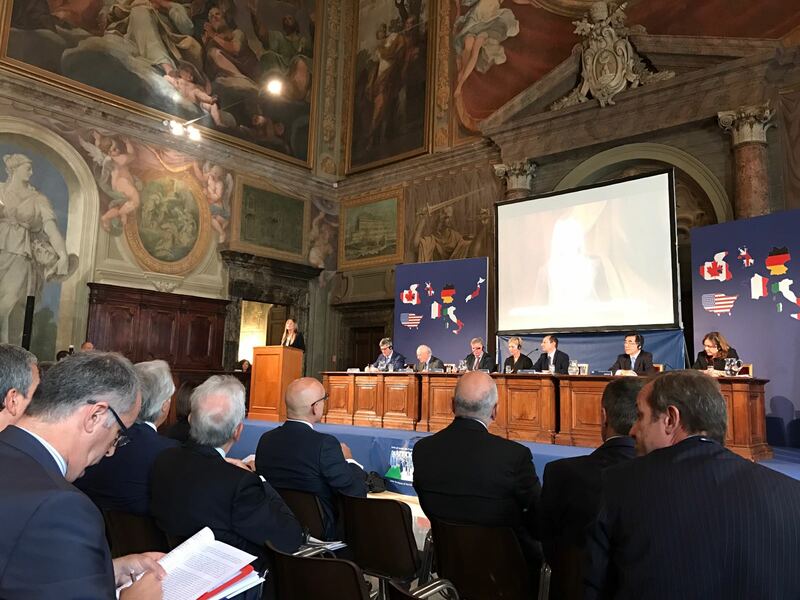 Through a concise and summary report on the participants at the G7, MATTIA COLONNELLI DE GASPERIS (read it at www.americanbar.org) underlined: «the G7’s works opened and closed with the keynote speeches by Maria ELENA BOSCHI, Deputy Secretary of State to the Italian Presidency of the Council of Ministers; LAURA BOLDRINI, President of the Italian House of Representatives; and ANDREA ORLANDO, Italian Minister of Justice. 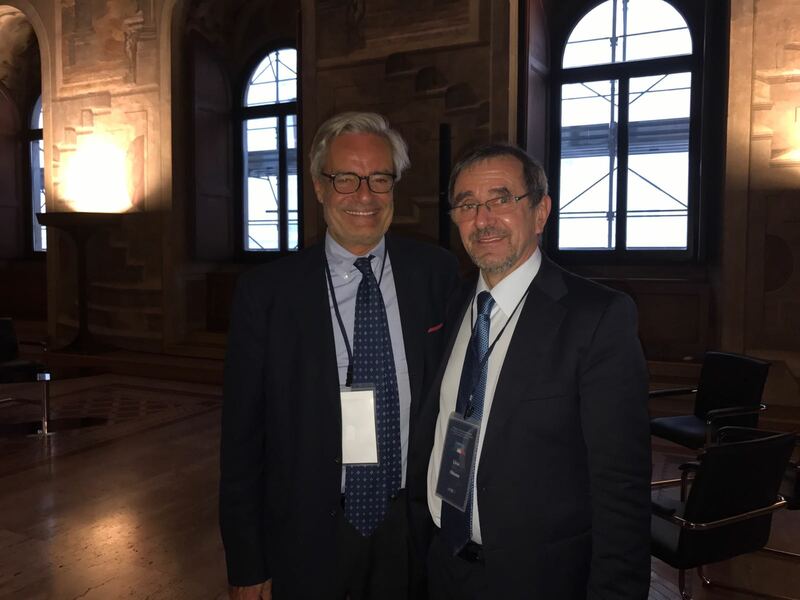 Important Italian and international legal experts, together with the representatives of the legal profession of the G7 Countries discussed the guidelines aimed at strengthening international collaboration. 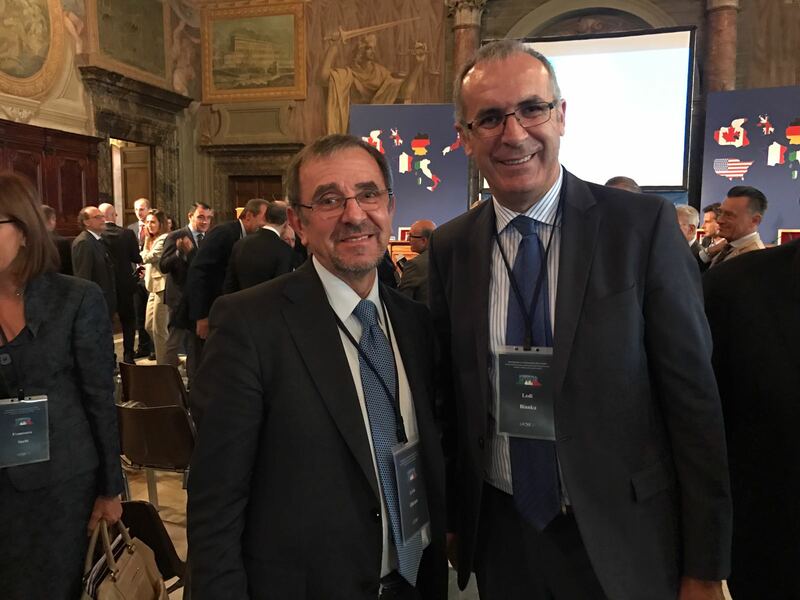 Among these, RAFFAELE TROMBETTA, Ambassador and G7/G20 Sherpa to the Italian Prime Minister; GUIDO ALPA, Professor of Civil Law and Past President of the Italian National Forensic Council; LEDI BIANKU, Judge of the European Court of Human Rights; GIOVANNI BUTTARELLI, Chair of the European Data Protection Supervisor; GIOVANI CANZIO, First President of Italian Supreme Court of Cassation; GIORGIO LATTANZI, Vice President of the Italian Constitutional Court; SALVATORE SICA, Vice President of the Italian Superior School for Lawyers; EUGENIO ALBAMONTE, President of Italian Association of Magistrates; FRANCESCA BIGNAMI, Professor of Law at the George Washington University Law School; NUNZIA CIARDI, Director of the Postal and Communication Division of Italian State Police; PETER PETKOFF, Managing Editor of the Oxford Journal of Law and Religion; ANTON GIULIO LANA, President of the Forensic Association for the Protection of Human Rights; ANTONELLO SORO, President of the Italian Data Protection Authority; STEPHANE JAQUEMET, Regional Representative for Southern Europe of the United Nations High Commissioner for Refugees; LIVIU OLTEANU, Secretary General of the International Association for the Defense of Religious Liberty; MARIO RICCA, Professor of Intercultural Law. 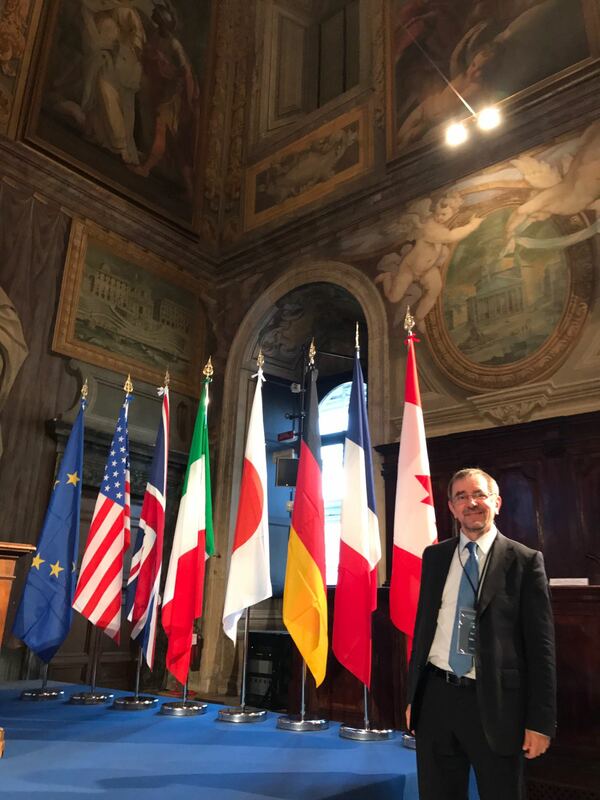 The G7 closed with a joint declaration by the representatives of the legal profession of the G7 Countries aimed at strengthening the international strategy which is aimed at protecting personal dignity and security from false information and contrasting discrimination based on race, religion or gender in the age of digital communications technologies». On behalf of the AIDLR I express many thanks for the American Bar Association report and for all the work on the defense of individual rights on freedom of religion and freedom of expression and against the spread of hate speech and violence in the name of religion, through the support of all lawyers and international experts belonging to the G7 Bar Associations across the world. 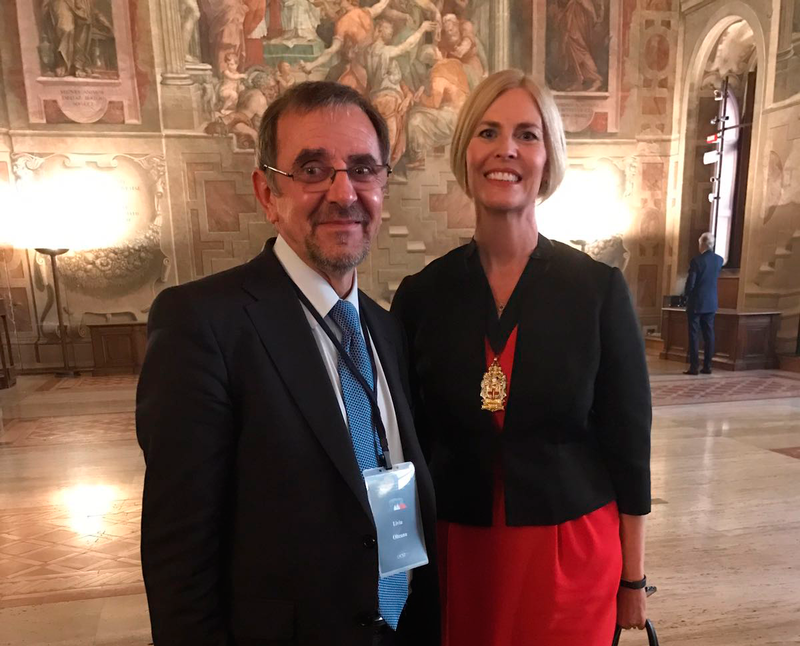 Ms Christina Blacklaws - Vice President of the Law Society of England and Wales, and Dr Liviu Olteanu - Secretary General of the AIDLR at G7 in Rome, Pallazo della Cancelleria.